Files are sent to the site administrator by email. They are simple text files which can be read by any text reader including TextPad, WordPad, and NotePad. They are saved with DOS linefeeds in UTF-8 Unicode text encoding. Depending on the size, some files are zipped prior to sending. 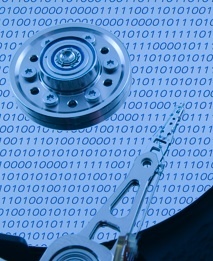 We pull our data from a SQL database and can create any format necessary for your system. How do I import the data? Most applications have an import utility under the Medical Necessity tool. When you order your CodeMap® data file, you will receive it in the necessary format for import into the application you specify. Most vendors include documentation on their procedure. Please contact your vendor for import procedures. How many code pairs are included in each file? File sizes vary depending on the contractor purchased and specialty purchased. The NCD file included for Hospital and Laboratory licenses include over 600,000 code pairs. Many hospital data sets contain over 400,000 code pairs in addition to the NCD file. Who do I contact to develop a custom format? How are the Laboratory CBC Exclusions handled in the NCD data file? Typically, applications with Medical Necessity functionality require "correct" CPT/ICD-10 code pairs. Therefore, our standard NCD files include the CBC Inclusions. We manage a database of both the exclusionary and inclusionary lists so both formats are available. Are update files meant to be added to my current medical necessity data, or should the update files replace my current medical necessity data? Your CodeMap® Data File Updates are meant to replace existing data. This insures that the LIS medical necessity tables are updated to reflect both added and deleted policies and corresponding added and deleted ICD-10 codes. In case there are any mistake in data, and this mistake has certain legal and financial circumstances, is it your company that is responsible? CodeMap makes every reasonable effort to ensure the accuracy of the information contained in our data file. However, the ultimate responsibility for correct coding and claims submission lies with the provider of services. Both CMS and Medicare contractor coverage policy information may change at any time. CodeMap® makes no representation, warranty, or guarantee that this compilation of coverage policy information is error-free or that the use of this data file will result in Medicare coverage and subsequent payment of claims. Final coverage and payment of claims are subject to many factors exclusively controlled by CMS and its contractors. Do you have a CPT code descriptor file? CodeMap does not provide a list of CPT codes and their descriptors, you can obtain one from the AMA Bookstore. Do you have rules like “if you have diagnosis A and B, then you must have C”? A few medicare contractors publish "secondary code pair" LCDs. For CPT codes that require a secondary code pair check, CodeMap provides the CPT in the policy with a dummy ICD-10 code, typically 000.00. Since this code pair will never be entered, your system should check the database and flag for an ABN every time this test is ordered. If we decide to make a purchase now, how much time will take before we receive the data files? Our delivery time is typically less than 24 hours. There are approximately 4,000 active and draft policies (as well as 4,000 retired) in our database. These 4,000 active policies cover millions of CPT and ICD-10 code combinations. Not every CPT code has an edit. The CPT codes covered vary by contractor and vary by state to state and can even be different for Part A Inpatient and Part B outpatient within the same state. You need to be very specific as to what file you purchase. A hospital billing in Texas is only concerned with the Texas Part A medicare policies of Trailblazer. Do your edits include the bundling edits that compare CPT and HCPCS codes to each other to make sure that one code doesn't include the other code already in its definition? No, this is not included in medicare coverage policies. It would be something you could purchase from the AMA Bookstore. Contact us by phone at 847-381-5465 or by email at sales@codemap.com for more information.